The Chuang Yen Monastery is the largest Buddhist monastery in the eastern United States, built on 125 acres of land donated by Chia Theng Shen. This Monastery in Kent, New York, was erected with hopes that it would provide North American Buddhists with a place for regular Dharma Assembly. The Chuang Yen Monastery consists of 2 main structures: Great Buddha Hall, Kuan Yin Hall and 5 smaller structures: the Dining Hall, Ying Guang Hall, Thousand Lotus Memorial Terrace, Tai Shu Hall and Woo Ju Library. The Woo-Ju Library is the only library in the United States specializing in the Buddhist religion. You are greeted by two Fu Dogs at the mouth of the entrance. Along the path are stone entities, each with a different expression. At the end of the path is Great Buddha Hall, a lare impressive structure with a number of stone steps that lead from the base to the door of the building. Built in the style of the Tang Dynasty (618 AD-907 AD), it was constructed without any internal pillars supporting the ceiling, which results in a large space that can accommodate 2,000 people. Within Great Buddha Hall is a 37 foot statute of Buddha Vairocana. This is the largest statute of Buddha in the Western hemisphere - including Europe, North America and South America, and certainly one of the most impressive ever seen. Ongoing Monastery programs in English are held on Sundays in the Tai-Hsu Hall: Morning Meditation: 9:30 - 10:30AM, Book Discussion Group: 10:30am - noon, Vegetarian lunch served (Sunday only): Noon - 1:00pm. In the 1930s, 40s and 50s, the signature on a set of dinnerware or piece of furniture elicited instant response. At that time, Wright was one of the top designers in the U.S. At the apex of his career, Wright left New York City and moved his base of operations to Garrison, New York. It was here that he created a unique home and designed breathtaking landscape. He named it Manitoga, meaning "Place of the Great Spirit" in Algonquin. Wright shared the Native Americans' respect for the earth. When Wright first found this property in 1942, it had been damaged by a century of quarrying and lumbering. Over the next three decades, until his death in 1976, he carefully redesigned and re-sculpted Manitoga's 75 acres using native plants. His extensive training as a theater designer and sculptor, coupled with his innovative design ideas propelled the landscape forward. Though the landscape appears natural, it is actually a careful design of native trees, rocks, ferns, mosses, and wild flowers. Wright created over four miles of paths that wind over creeks, into woods, among boulders, and through ferns and mountain laurel. 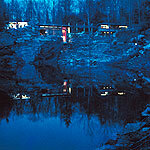 Manitoga is the only 20th century modern homesite open to the public in New York, and one of few on the east coast. Wright considered it his most important creative effort. In 1996 it was listed on the National Register of Historic Places. Manitoga's mission is to preserve the legacy of pioneer designer Wright - his home, landscape, products, archives and philosophy, and share them with professionals and the public. Manitoga is a National Historic Landmark. House and Landscape Tours, April – October. 11:00AM daily, beginning at the Visitors Guide Bldg. Admission $15, seniors $13. children under 12 $5. Also offering self guided tours of over 4 miles of artfully designed trails. 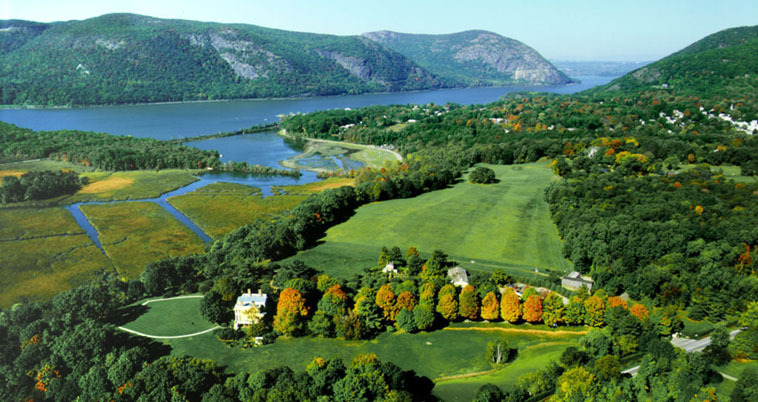 Boscobel is situated on a bluff on the east bank of the Hudson River opposite the United States Military Academy at West Point. The house museum and surrounding grounds and gardens are situated on 45 acres. They offer visitors memorable views of the Hudson Highlands and the Hudson River. The house was completed in 1808 for the States Dyckman family and is widely regarded as one of the finest examples of Federal architecture in the country. It contains one of the nation’s leading collections of furniture and decorative arts from the Federal period, much of it made by premier New York cabinetmakers such as Duncan Phyfe and Michael Allison. Take a guided tour of Boscobel House. Hours begin at 10 AM and the last tour begins at 4:15 PM April through October, 3:15 PM in November and December. Tours last approximately 45 minutes or, enjoy a self-guided tour of the magnificent rose garden, orangery, herb garden, springhouse, gatehouse, and the Woodland Trail, with its rustic cedar structures and glorious scenery. There is also a fascinating exhibition on the rescue and restoration of Boscobel in the Visitors’ Center. An excellent museum shop is located in the Center as well. Boscobel is open every day except Tuesdays, Thanksgiving and Christmas. The museum and grounds are closed during January, February, and March. Boscobel is also the home of the acclaimed Hudson Valley Shakespeare Festival. 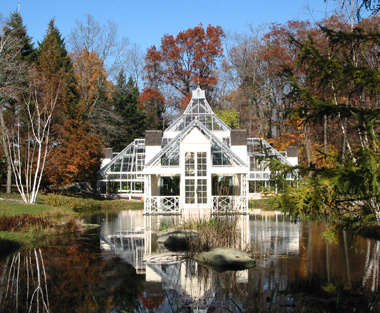 Stonecrop Gardens is located in Cold Spring, New York and was originally the home of Anne and Frank Cabot. Stonecrop became a public garden in 1992 under the direction of Caroline Burgess. At its windswept elevation of 1,100 feet in the Hudson Highlands Stonecrop enjoys a Zone 5 climate. The display gardens cover an area of approximately 12 acres and comprise a diverse collection of gardens and plants including woodland and water gardens, a grass garden, raised alpine stone beds, cliff rock gardens, and an enclosed English-style flower garden. Additional features include a Conservatory, display Alpine House, Pit House with an extensive collection of choice dwarf bulbs, and systematic order beds representing over 50 plant families. Stonecrop's plant collections and display gardens not only demonstrate what can be achieved by horticultural enthusiasts, but also serve as an educational resource which, together with its professional staff, constitute the foundation upon which is based a developing School of Practical Horticulture. Mission Statement: Our mission is to uphold and demonstrate the highest standards of horticultural practice and to promote the use of such standards among amateur and professional gardeners through aesthetic displays and educational programs. The Firetower on top of Kent's own Mount Nimham, itself more than 1200 feet high, stands 90' above the mountain top making it the tallest existing fire tower in New York State. While Mount Nimham is not the tallest peak in our County, that honor goes to Bull Hill, sometimes known as Mount Taurus, in Phillipstown. Now fully restored, the tower is a focal point for tourism in our community and as a lovely and exciting place for a family outing. Great fires in the early 1900s destroyed millions of acres of forest in New York, leading to the creation of state fire districts. Fire Towers were erected on mountains in these districts, from which spotters could quickly locate potentially dangerous fires sparked by railroad locomotives, careless hunters or residents burning brush. Located in the Taconic Hills about 60 miles north of New York City and in the heart of Kent Lakes, Putnam County, Mount Nimham Fire Tower was built by the State of New York and the CCC in 1940. 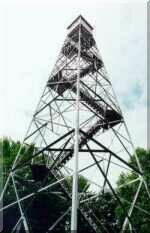 The tower is listed with the National Historic Lookout Register. On a clear day you can see south to New York City, west to the Catskills and north to the Taconics and Berkshire foothills. Also visible in this scenic panorama are Poughkeepsie, Beacon, the entire Croton watershed, all of Putnam County and parts of Connecticut. In the distance to the west, the Shawangunks, Marlboro Hills and Harriman State Park form a virtually unbroken line of impressive heights and preserved recreational open spaces. Nestled on the banks of the scenic Hudson River lies Cold Spring, a timeless town, filled with 19th century architecture, overflowing with ageless elegance, yet modern and fashionable enough for every generation. You can day-trip to Cold Spring to hike Breakneck Ridge or to do some kayaking, but you can truly appreciate this idyllic setting without having to scramble up steep inclines or paddle out into the Hudson. With majestic Storm King Mountain ablaze in shades of yellow, red and orange, late fall is always a great time to visit Cold Spring. The site of a thriving foundry in the 1800s, this little village is well preserved and very laid-back. Main Street in Cold Spring offers the most classic antique shopping alongside numerous art and craft galleries. Used extensively in the filming of "Hello Dolly," Cold Spring is a very picturesque town also known for its fine restaurants, riverfront concerts, theatre productions and historical monuments. 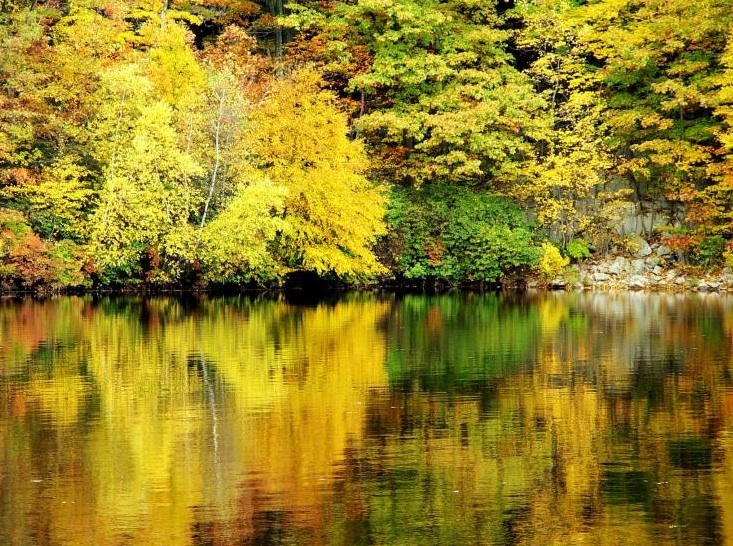 The Town of Kent Lakes is an extraordinarily beautiful place. With more than 8000 acres reserved in our area as permenantly preserved open spaces, our lives are enriched by the simple fact that we have room to breathe! From skiing and ice skating in winter to biking, camping, boating, birdwatching and hiking in the warmer months, our area has it. For all the nature lovers, photographers or virtually anyone who enjoys outdoor pursuits you can access a wealth of opportunities right here. 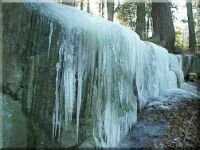 The largest park in Putnam County, Fahnestock Park is 10,000 acres of relaxing activities and natural wonder. Anglers can fish for bass, perch, sunfish, pickerel and trout in three ponds and two lakes. State fishing licenses are required. Boats are allowed with a park permit or may be rented at Canopus Lake. Camping season runs from May through October. Each site generally includes a picnic table, fireplace or grill. Flush toilets and showers are nearby. Camp permits entitle individuals to free use of swimming facilities. The Nature Center features family film nights, children's puppetry, musical concerts and interpretive programs throughout the summer. There are also marked hiking, biking and horseback trails. Canopus Beach is the pride of the park. Picnic groves, a concession stand, locker rooms, showers and toilet facilities are available. No pets are allowed. In winter the park is open for cross-country skiing, snow shoeing, ice skating and sledding. Skis, snowshoes and skates are available for rent on weekends. There is a warming lodge with rest rooms, food service and parking for cars and buses. A mostly undeveloped preserve of nearly 6,000 acres, Hudson Highlands State Park consists of a series of separate parcels of land stretching from Annsville Creek in Peekskill, north to Dennings Point in Beacon. The spacious park is perfect for outdoor activities such as fishing, boating, hiking, and birding. The Hudson Highlands and Hudson River provide spectacular backdrops for the many activities that can be enjoyed here. The park's extensive hiking trail network includes terrain that varies from easy to challenging. Trail maps can be obtained at the Clarence Fahnestock Memorial State Park office. The park's most well known trail – Breakneck Ridge was rated by Newsweek as one of the top 10 day hikes in America. The 5.5 mile Breakneck Ridge trail rises 1,250 feet in only a ¾ mile stretch. Please note that camping and use of fire are prohibited throughout the park. 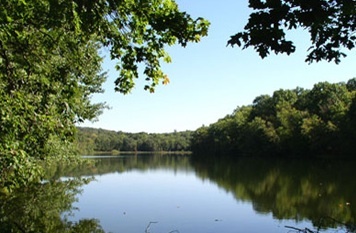 For visitors who wish to view the scenic park from the water, kayaks and canoes are available for rental at Annsville Creek Paddlesport Center in Cortlandt Manor. Rentals, as well as instruction, tours, and educational programs, are provided by Atlantic Kayak Tours. Visitors may also launch their own kayaks and canoes from the Annsville dock. Fishing from the dock is also permitted. One area of Hudson Highlands State Park, Bannerman Island, can only be accessed by water and explored via guided tour. Known originally as Pollepel Island, this island is listed on the National Register of Historic Places. This majestic Hudson River landmark is home to Bannerman Castle, built by American entrepreneur Frank Bannerman VI between 1901 and 1918. 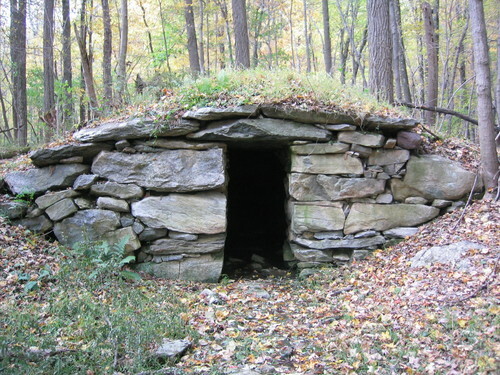 For more information on visiting this unique site, please call (845) 831-6346. White Pond Multiple Use Area contains 276 acres, 125 of which include White Pond. There is a trail which runs from the parking lot on White Pond Road and ends at the road at the other end of the pond. This property was previously a New York City reservoir and was transferred to State ownership. An old stone sluiceway runs from the dam toward the middle of the pond. Bass and sunfish often gather along the stones. The pond itself can become weedy in summer and large stones are submerged in piles along the roadside edge. Facilities include a large parking lot, boat access, and an accessible fishing pier. Car-top boats and boats with electric motors are allowed on this pond. Fishing is permitted, but swimming is not encouraged. From the parking area, there is an entrance to an accessible path along the water, with a resting area. At the end of the path is an accessible fishing pier. Fish present at this site are Largemouth Bass, Chain Pickerel, Walleye, Yellow Perch and Bluegill. Hunting is prohibited. Do not litter. Please carry out what you carry in. Garrison Art Center opens the door to artistic inquiry and expression. GAC expands artists' vision and fosters creative ideas and appreciation of the arts in our community. 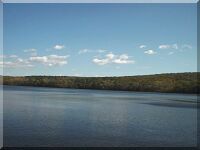 Our Location	GAC is located on the banks of the beautiful Hudson River, just 50 miles north of New York City. 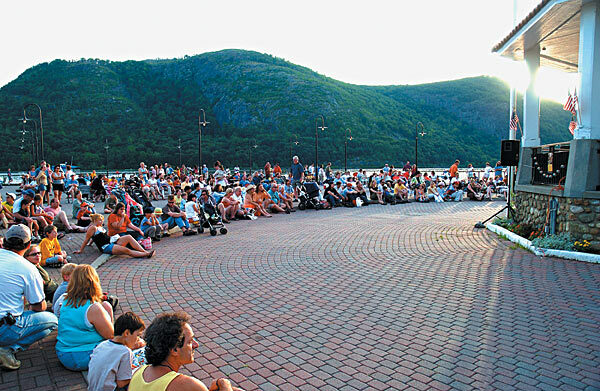 This riverfront park at Garrison's Landing is unique in its beauty, with the grandeur of West Point on the opposite shore and views south to Bear Mountain, Dunnderberg Hill and Anthony's Nose and north to Storm King, Bull Hill and Breakneck Ridge. GAC is a short walk from the Garrison Station on the Metro North Hudson Line. The Garrison Marina affords access to GAC for boaters. Open daily 12:00 – 5:00pm. Comprised of 3 100-year-old buildings situated on historic Garrison’s Landing. Galleries, exhibitions, classes and an impressive summer arts and crafts fair on the premises. Check their websight frequently for various events. The Putnam Arts Council (PAC) is a not-for-profit arts service organization chartered in 1963 by the State of New York. PAC is the voice for the arts in Putnam County, and maintains a leadership role in promoting, fostering, and perpetuating the visual, performing and literary arts in the county. Their programs include exhibitions, Art in Public Places, workshops in the visual and performing arts, a summer arts program, concerts, theatre performances, advocacy, technical assistance workshops, studio tours and special events. As a county-wide arts service agency, the Putnam Arts Council extends its programming to reach constituents where they live and work, and to provide support for the creative development of artists, students, and cultural organizations. PAC was formerly housed at the Belle Levine Art Center on Kennicut Hill Road in Mahopac. This turn-of-the-century barn was once the studio of cartoonist Bud Fisher who created "Mutt and Jeff", the first syndicated cartoon for the Chicago Tribune. Due to an extensive fire in the winter of 2006, we have moved to a new location. We are currently residing at Tilly Foster Farm in Brewster. Tilly Foster Farm is a very large and beautiful horse farm which is owned and operated by Putnam County. It has a variety of buildings on it in addition to the horse barns and many acres of rolling pastures. Students of all ages will find inspiration from the landscape and animals. Arts on the Lake is a non-profit corporation formed in spring of 2006 to foster performances, exhibits and art classes in Kent, NY. Members of the Lake Carmel Park District Advisory Committee and residents of all areas of the Town of Kent formed Arts on the Lake to develop programs in the Lake Carmel Cultural Center, which is the former Lake Carmel Firehouse on Route 52 facing Lake Carmel. While waiting for renovations to be completed, Arts on the Lake developed a Second Sunday Series of performances in homes, the Lake Carmel Community Center and the Kent Cliffs Firehouse that included the readings of new plays, poems and a short story, the performances of local musicians, the December reading of "A Christmas Carol," a presentation of American Music and a showcase of young talent. As plans for an active Arts Center accelerated, James Shearwood and Ellen Leerburger were appointed Directors by the Board. With backgrounds in theatre, education and museum design, they have assembled an initial program of classes and performances. Keep your eye out for these worthwhile events by frequenting the website at the link above. Be sure to see the scrapbook tab on their website for a run down of the programs they have already provided the community.